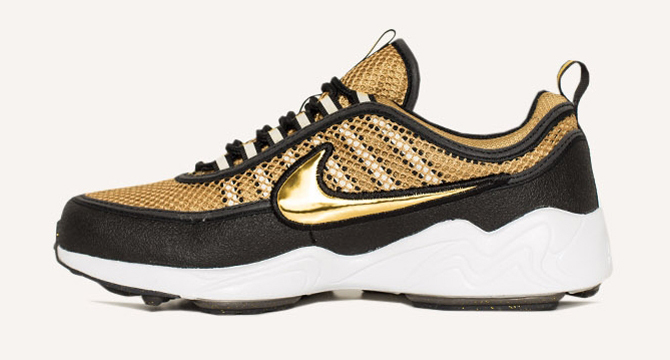 Release date info on the gold Spiridon. 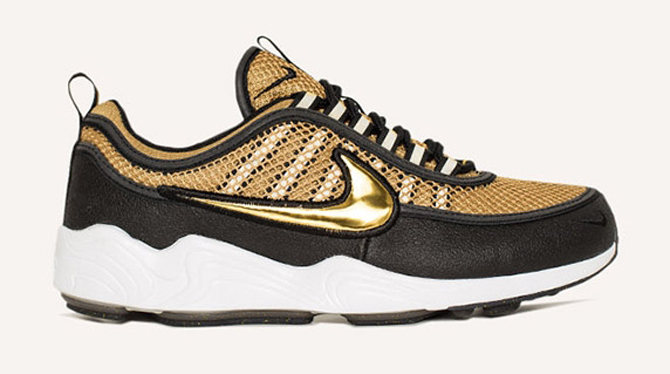 The NikeLab Air Zoom Spiridon is donning gold once more, following up on its USA-themed Olympic edition with this pair that sheds the patriotic look for a more straightforward metallic one. 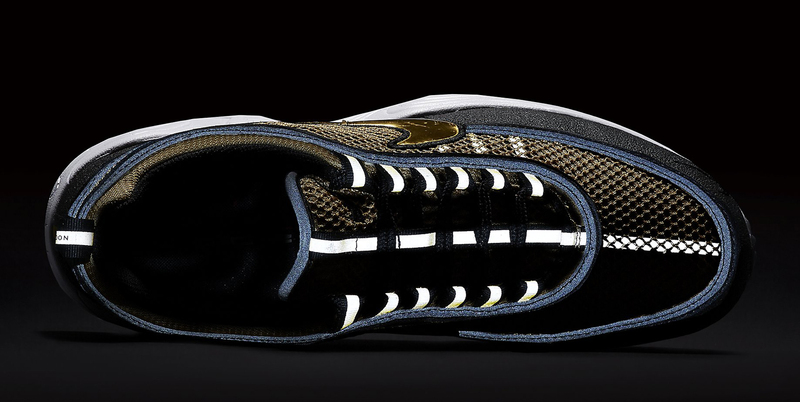 The shoe hasn't popped up on any sneaker release date calendars just yet, but it's listed on the webstore of Italian sneaker shop One Block Down, which indicates that a retail launch may be on the way soon. 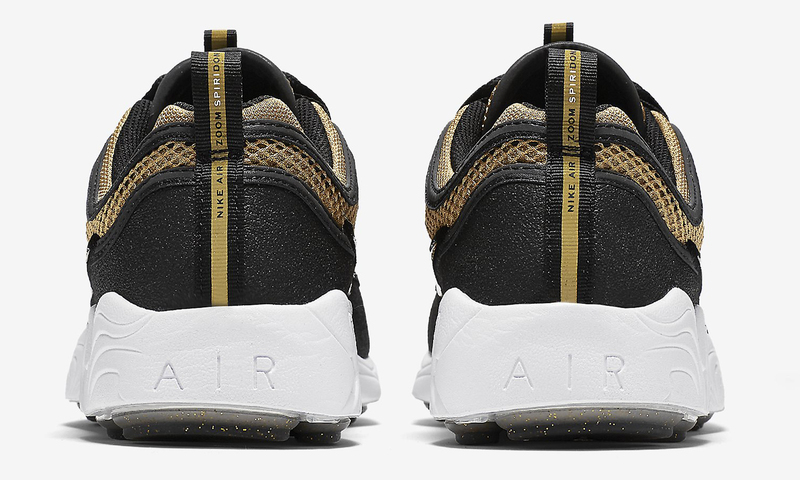 For what it's worth, there's a story floating around on NikeTalk about someone picking up a pair in Korea, so the shoes may be trickling into retailers in certain regions now. 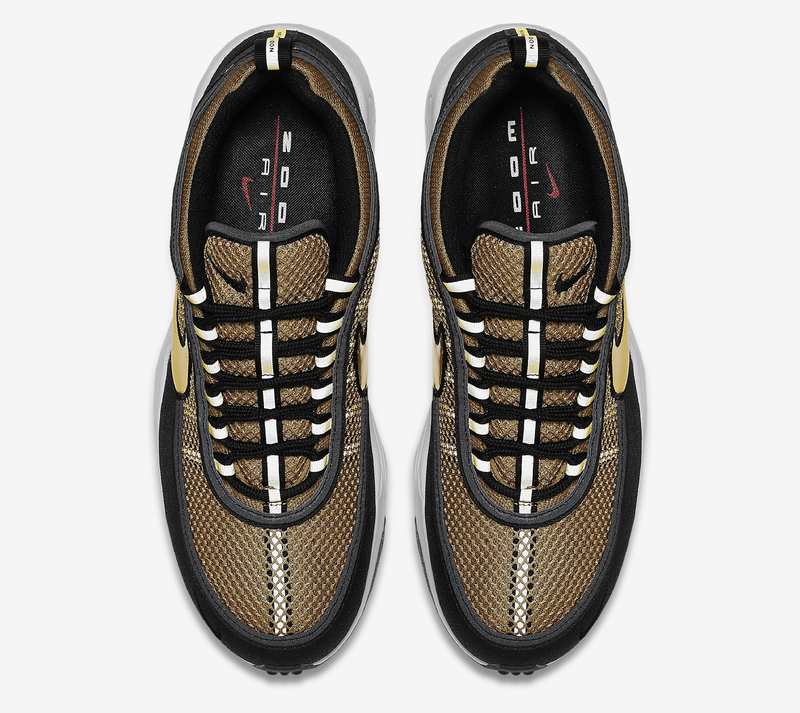 UPDATE 9/13: These Spiridons release on Thursday, Sep. 15, via Nike SNKRS. 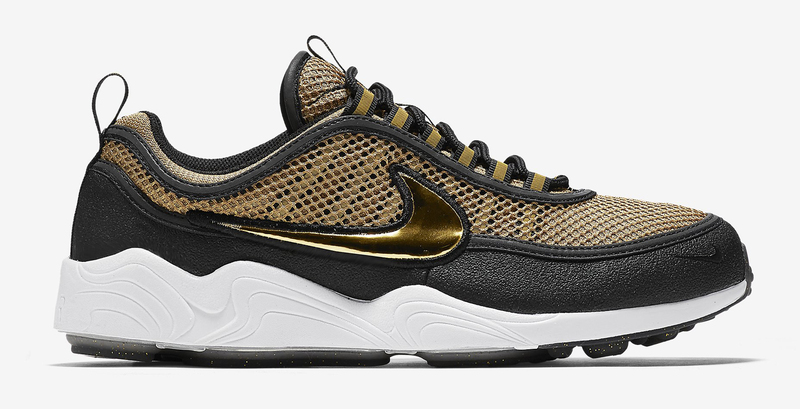 Nike Air Zoom Spiridon "Gold"